Actors Pat Hingle, Gary Oldman, and Ben McKenzie have had the privilege of portraying Commissioner James Gordon – one of the most significant characters in the Batman lore. 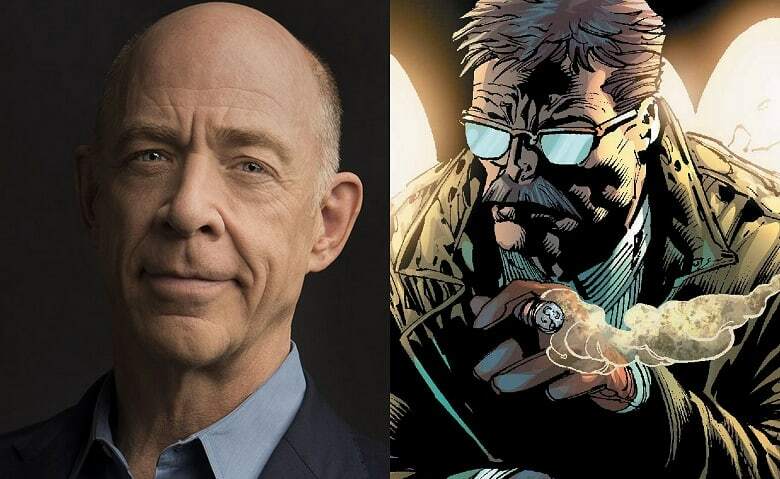 Now, Academy Award-winning actor J.K. Simmons will follow in their footsteps in the upcoming Justice League film. Knowing of Gordon’s significance in Gotham City, Simmons revealed that the majority of his scenes were with Ben Affleck’s Batman. Perhaps this foreshadows Simmons’ involvement with the upcoming standalone Batman film that Affleck is directing. Yeah, mostly with Ben. In this first installment of the Justice League, Commissioner Gordon is not a particularly sizable part. We just kind of introduce him and see a little bit of his interactions with Batman — and with most of the Justice League. That was a really fun set. Zack [Snyder] runs sort of a big, happy family and it’s obviously, in many ways, a very different work environment when you’re working on a big, giant movie like that than a relatively small movie like The Meddler. But at the end of the day, the director is the one who sets the tone. And one of the things that Zack and [The Meddler director] Lorene [Scafaria] have in common is they’re just nice, smart, competent, fun people that you don’t mind spending a 12-hour day with. J.K. Simmons has some nice words to say about Zack Snyder. It leaves me thinking back to photos and videos I have seen him in, and Snyder seems calm, but passionate about the films he makes, always greeting everyone with a nice smile. J.K. Simmons will next be seen alongside Ben Affleck in The Accountant, which opens in theaters on October 14. Meanwhile, Justice League opens in theaters on November 17, 2017.